In the Universe, there was the Big Bang. In the field of exploration, there was Christopher Columbus stumbling upon an entire continent that had somehow gone un-noticed by the Europeans. In film history, there also are pivotal moments: the introduction of the Hays Code in 1934; the advent of talkies in 1928; technicolor in the 1930s; 3D in the 1950s; the "Disney Renaissance" of the 1990s; and "Toy Story." 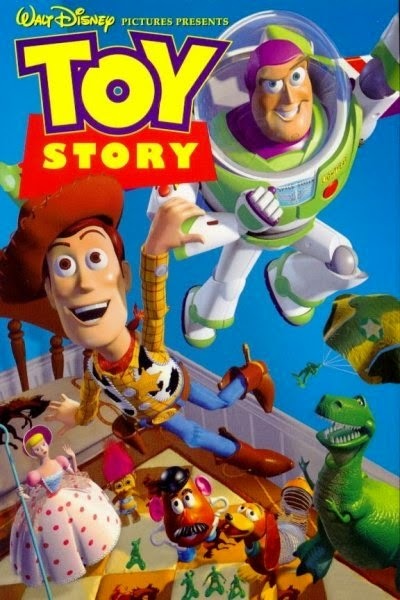 Well, "Toy Story" (1995) by itself perhaps doesn't quite reach those kinds of levels, but it comes darn close. "Toy Story" put Pixar on the map and began the pre-eminent animation franchise of all time. "Shrek" may have pumped out more films in its decade-long run, "The Land Before Time" might have generated, what, a dozen sequels, but nothing touches the grandeur of the "Toy Story" franchise and its bedroom full of wacky characters. Tom Hanks, at that time just off his Oscar run in "Forest Gump" and "Philadelphia," stars as Woody, a pull-string cowboy toy owned by young Andy (John Morris). He is Andy's favorite toy, but his more important role is as the leader of all of Andy's toys. While acting lifeless with people around, the toys all come to life when left alone. One day, Woody leads an away team to find out what Andy is getting for his upcoming birthday. They find that one of those presents is a brand new space ranger toy, Buzz Lightyear (Tim Allen). 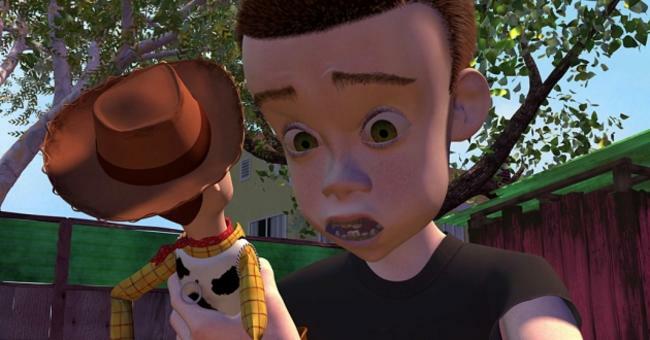 Woody feels threatened and resentful that anyone should think that he alone is not enough for Andy. The other toys also worry him because they give Buzz a lot of attention. "Toy Story" chronicles Woody's jealousy and the beginning of his amiable rivalry with Buzz. 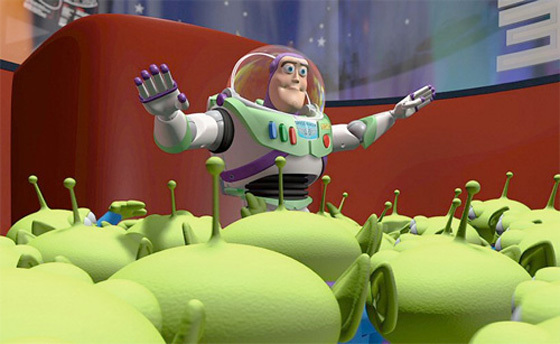 Andy is going with his family to Pizza Planet, which has a science fiction theme, and he is going to take Buzz. 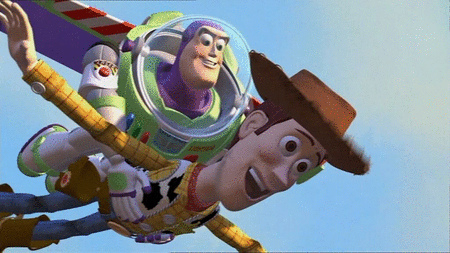 Woody, though, is jealous and hides Buzz so that Andy can't find him and will have to take Woody instead. 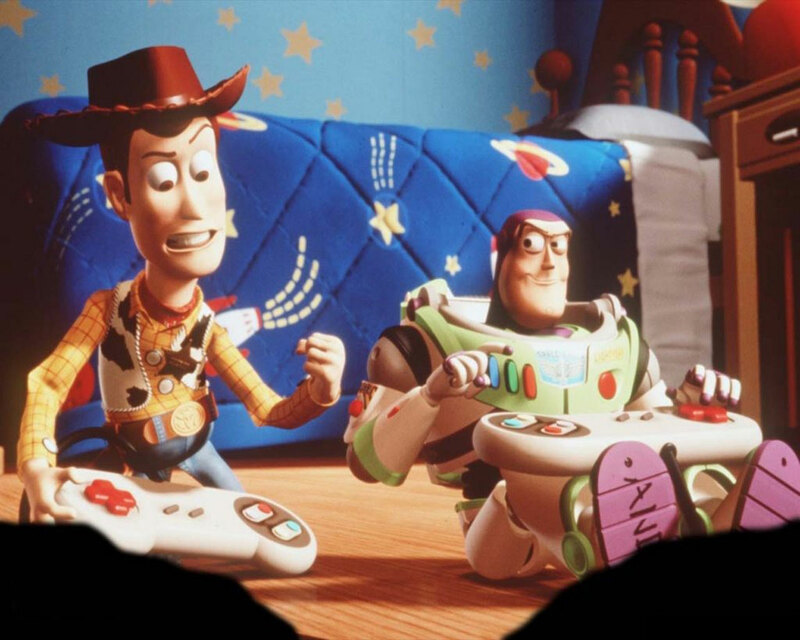 Instead of hiding Buzz behind the desk, though, Woody somehow drops Buzz out the window. 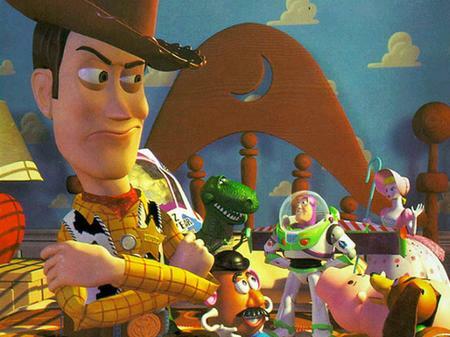 The other toys are suspicious, thinking that Woody intentionally murdered Buzz. The plan works, though, as Andy winds up taking Woody to Pizza Planet anyway. On the way, though, Buzz gets in the car when they stop for gas and confronts Woody. Both toys wind up on the pavement, and Andy drives off without them. Woody spots a truck going to Pizza Planet, so the two toys jump on it and ride there. Once at the restaurant, Buzz wanders off to an arcade game, thinking it is a ship that will take him back to his home world. Inside are aliens who have their own culture, honoring the mighty claw arm as their god. Woody comes to rescue Buzz from the machine, but Andy's neighbor Sid Phillips (Erick von Detten), who has a terrible reputation among the toys, captures both of them with the claw arm. Sid takes them home, and Buzz and Lightyear are frantic to escape quickly because Andy is moving to another home soon. 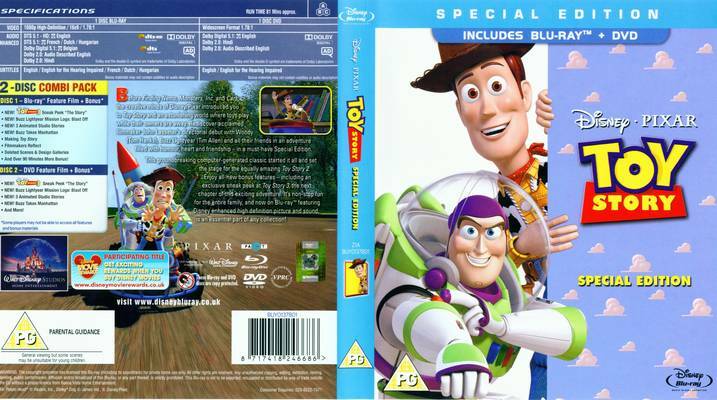 Buzz tests whether he is, in fact, a toy and tries to fly, falling and losing his arm. 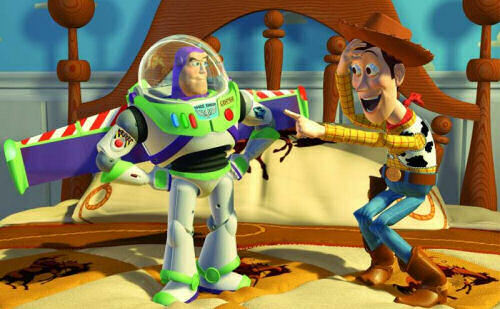 Woody uses the arm to wave to his comrades in Andy's house and get help, but they assume he murdered Buzz. 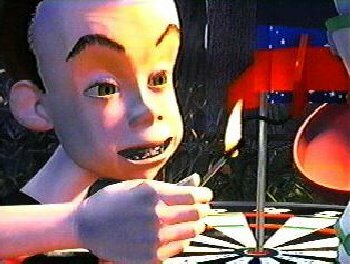 Sid's toys, who are all nice but mangled due to Sid's experiments with them, help out by reconnecting Buzz's arm, but Sid decides to have some fun and straps Buzz to a rocket to destroy him completely. Woody and Sid's toys rescue Buzz, and Woody scares Sid off by coming to life and telling him off for hurting defenseless toys. Woody and Buzz leave through a hole in the fence, but find that Andy and his family are gone to their new home. Buzz and Woody manage to get to the truck taking Andy's toys to the new home, but Sid's dog Scud chases them and almost gets Woody until Buzz intervenes. Buzz is now in peril, but Woody's attempt to save him using a remote-controlled vehicle fails when the other toys become suspicious of his motives and toss Woody off the truck into the street. The other toys realize their error, though, and come to help out. 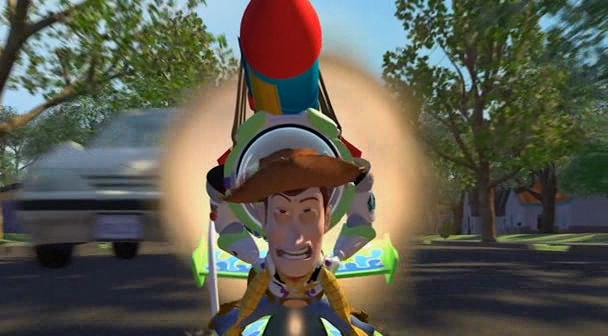 The remote-controlled car's batteries die, so Woody improvises and uses the rocket on Buzz's back to propel them all back into the truck. And comes by and is happy to rediscover the toys he thought were missing. They all get to the new house, and find out that Andy's Christmas gift is their worst nightmare, a new puppy. "Toy Story" is beloved by all, and is one of the best-reviewed films ever, and not just animation films. It was a breakthrough, because, while Disney had been dabbling with computer generated imagery (CGI) for decade, since "The Black Cauldron," it hadn't felt the need to create an entire film using CGI as Pixar did with "Toy Story." For Pixar, a nerdy little computer graphics company that did contract work for Disney, "Toy Story" was a bet-the-company gamble, and it worked. That Pixar, with no experience putting together feature-length animated films, was able to get all the minute details of such a production - casting, dialogue, plot, imagery, continuity, music ("You've Got a Friend in Me" by Randy Newman is a classic), on and on - done to perfection was a staggering accomplishment. “When we conceived the picture we didn’t think of it as a musical. When we started talking to Disney they were used to musicals and they felt we needed some songs. How would we fit them in? We didn’t want the characters to break out in song. Lasseter's own expertise is especially evident in the expressiveness Pixar gives to the toys' faces, particularly Woody's. This is what draws the viewer in and makes the toys friends and not just objects that can talk. 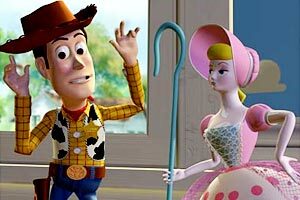 Wisely, Pixar hired some of the most engaging actors in the industry, including Allen, Hanks, Wallace Shawn (Rex), Annie Potts (Bo Peep), Don Rickles as Mr. 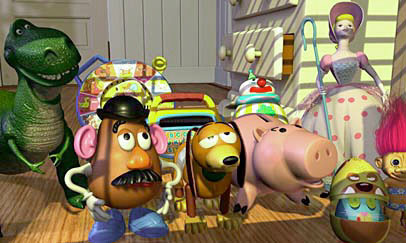 Potato Head, John Ratazenberger as piggy bank Hamm, and the like to reinforce the human-ness of the toys. All this combined gives the ingredients for a smash hit. Which, of course, "Toy Story" was. Buzz, of course, also has a great set-up to his character. For the entire first half of this Pixar film, he is convinced that he is on a failed space mission and has to repair his ship or find some other way back to his home world. Tim Allen is perfect as the deluded astronaut who keeps finding just enough positive reinforcement for his wrong-headed belief to maintain it in the face of stark reality. When he finally does face reality, his reaction is quite touching, and you will feel bad for this toy that he in fact is not out exploring the galaxy, but is forever entombed in Andy's bedroom. Tim Allen has just the right "everyman" attitude that is as convincing and winning as Hanks' amiability and soft-heartedness for Woody. The most amazing thing about this franchise, though, is that "Toy Story" itself was just the humble beginnings. It may have grossed over $300 million, but that was a mere "bag of shells," as Ralph Kramden would say, in comparison to what was to come. 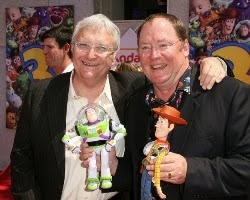 "Toy Story 3," which came out in 2010 with Randy Newman's best work of all, nearly tripled this film's gross. What that says is that the franchise built up an awful lot of good will with this introduction to some of the most loveable animated characters ever created and attracted more viewers based on that reputation. It used to be thought that sequels could never do better than original films at the box office, but "Toy Story" showed that opening the door with a surprise-hit animated film was enough to generate billions later if the quality was good enough. You can nit-pick all you want - boys usually stick with GI Joe dolls, and there isn't a single one in sight, the Hell of Sid's toys is not really explored sufficiently to give them life - but that gets you nowhere. 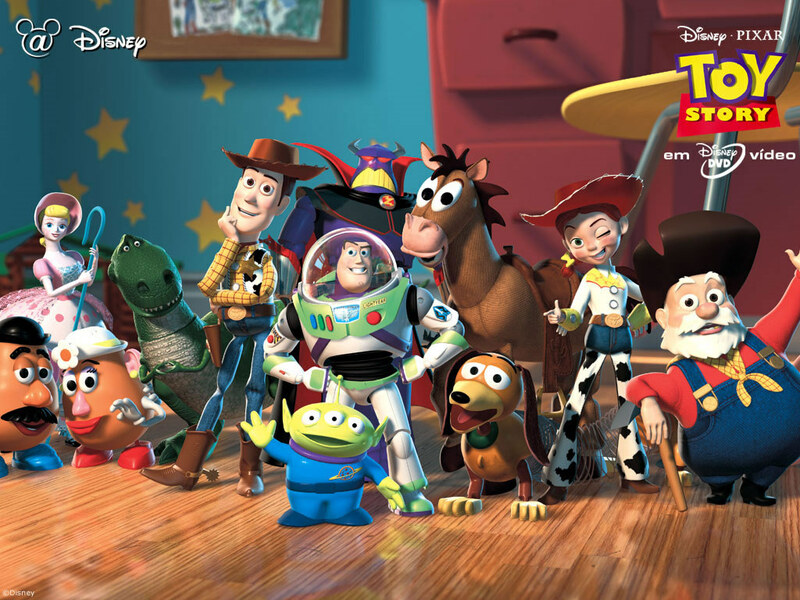 "Toy Story" is a great animated film. If you have never seen "Toy Story," you might as well go out of your way to do so, because odds are terrific that, sooner or later, a friend will drag you to a sequel or will have one playing while you are visiting and you will enjoy it tremendously, but not as much as if you saw the original and the establishment of all the toys' relationships. It will just make the entire experience more enjoyable. Consider it fun homework.